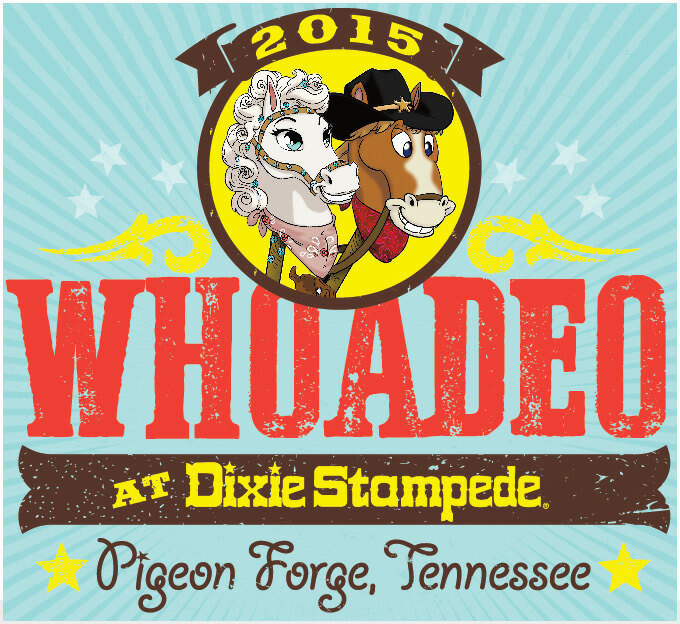 Dixie Stampede’s 2015 Whoadeo is a fun filled event for kids and families with games, prizes and a FREE carnival. Whoadeo events include stick horse competitions, a parade of horses, and costume contests in the Dixie Stampede arena for children ages 3-12. Families are invited to attend the free carnival from 8:30 a.m. until 1 p.m. in the Dixie Stampede parking lot. There will be games, bounce houses, magic tricks and much more. Bring your favorite stick horse for the Parade of Horses and stick horse races beginning at 9:45 a.m. in the facility’s arena. Your stick horse can be purchased or homemade. First, second and third place trophies will be presented in each competition for each age group and there will be one Whoadeo Best of Show trophy. On-site registration for Whoadeo events opens at 8 a.m. Every registered participant (ages 3-12) receives a free Dixie Stampede admission ticket to the 6 p.m. dinner show on Sept. 26 with the purchase of an adult ticket. Each Whoadeo participant also receives a Kid’s Club backpack from Food City (while supplies last) and a one-day child’s admission ticket to Dollywood. Food City also will provide complimentary boxed lunch meals for participants. All children must be accompanied by a parent and/or guardian. Visit Dixie Stampede for more information on Whoadeo 2015.